Everything started so well for Apple this week. After the launch of the company’s two new devices, iPhone 6 and iPhone 6 Plus, Apple revealed on Monday that this was the most successful iPhone launch ever, with 10 million units being sold during the opening weekend. The only thing that prevented Apple to sell more iPhones during that time was simply that they couldn’t make them fast enough. That’s a nice problem to have. But then things started turning sour on Tuesday when the first reports of what is now commonly known and referred to as #bendgate emerged online. If the negative press about bendgate wasn’t enough, Apple shot itself in the foot on Wednesday when it released iOS 8.0.1, an update supposed to fix several bugs, but which turned out to be the biggest software release fiasco in modern Apple history. With fanboys and Apple haters alike putting their own spin on both sides of the story, I thought I’d put some perspective to all this and share my thoughts on the situation. I will address the bending problem first, since it’s the first one that appeared, and admittedly something we didn’t cover on iDB because we thought it was a non issue. When the news “broke” that someone had successfully bent his iPhone simply by having it in his pocket, I quickly dismissed it as one of those silly claims that although true, doesn’t hold any weight. The problem is the same every year with every new iPhone. This year bending problem is last year’s Touch ID hack problem. To us, it was a non issue, and to me, it still is today. It’s just an issue that has been blown out of proportion, because what better company to talk about than the most successful one in the world? I’m not going to deny that your iPhone can’t bend. It can. There are many laws that can be broken, but the laws of physics are the ones that people like you and me can’t actually break. Even though science wasn’t my forte during my school years, I learned that if you apply a certain amount of force to any material, it will start changing shape, bend, and eventually break. To my knowledge, this applies to any material, but I could be wrong. It certainly applies to aluminum and glass, two very visible elements that make your iPhone. So again, yes you can bend an iPhone 6. You can bend an iPhone 5s too. You can also bend a MacBook Air (I’ve accidentally done it before but I didn’t feel the need to make a YouTube video about it). You can bend the hood of your car if you stand on it. I have never tried, but I’m sure with the proper entourage, you could bend a 55 inch flat screen TV as well. Everything is bendable. Now the iPhone 6 might be more bendable than the Samsung Galaxy S5 or Note 4. It might be more bendable than the Blackberry Passport. That’s definitely a disadvantage to Apple but it certainly isn’t a design or build flaw. It’s just the way it is. Should you be worried about bending your iPhone 6? No. Should you take extra precaution when putting it in your pocket? Sure. Should you avoid buying an iPhone 6 because of that? Of course not. Is this story just blown out of proportion? Absolutely. You can bend your iPhone 6, but unless you put it in your back pocket and sit on it, it most likely won’t happen to you. If you’re wearing tight pants and the phone is in your side pocket, simply be mindful of it, just like you were mindful of your iPhone 5. Make sure it’s not sideways in your pocket, and go on with your day without worrying any longer about it. Bendgate is a non story. This is not the Apple enthusiast telling you this. It’s a 33 year old man with just a bit of good commonsense. Bendgate is a story that the media needed to counterbalance the record breaking iPhone 6 launch. It is the story that every one is talking about today, but will just as easily forget next week. If you don’t believe me, I invite to revisit this topic next Wednesday. By then, everything will already be over, because again, there was nothing substantial to begin with. Now about that iOS 8.0.1 botched release. It probably would be an understatement to say that this was the most epic fail in the history of iOS updates. Not only did Apple release an update that disabled cellular service and Touch ID on certain devices, but it also took the company an hour to pull the update. Even worse, the company hasn’t issued an official fix yet for the mess it created (update: it has now offered a “workaround“). Before we get too hard on Apple, we have to rationalize the story. The not-so-bad side of it is that not many people were actually affected. Those that were the most likely to get affected in this hour and some minutes timeframe that iOS 8.0.1 was available were geeks like you and me. The average person wasn’t even aware there was an update for iOS when they saw the headlines on CNBC taking over what would appear to be more important problems in the world (ie. a man being beheaded by extremists in Algeria). So in the grand scheme of things, it’s really a tiny fraction of iOS 8 users who were affected. Several hours have passed an I still can’t get my head around how iOS 8.0.1 could have shipped. How could have it passed internal testings and approval and been made available to the public? How could an issue as obvious as loss of cellular signal could have gone unnoticed? Did Apple rush the update to finally make apps that support HealthKit available in the App Store? I’m sure that was a high priority item, but certainly not one that would have justified delivering unbaked goods. 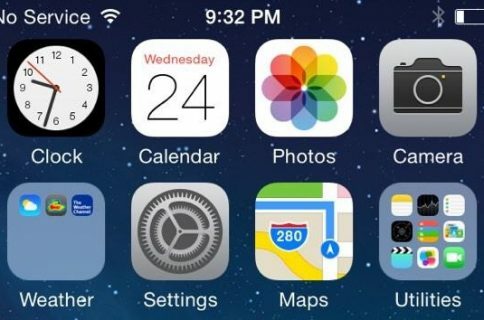 It’s been roughly ten hours since Apple pulled the iOS 8.0.1 update and there is still no fix for it. 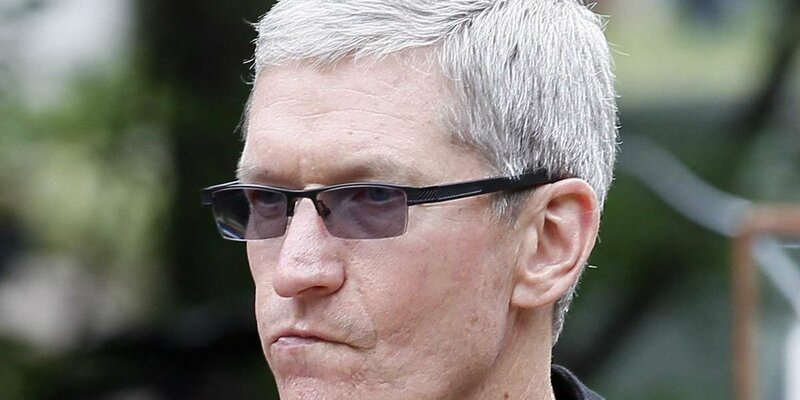 The company acknowledged the issue by saying they “are actively investigating these reports and will provide information as quickly as we can.” As quickly as Apple can is not fast enough today. Not when you mess up that bad. What could be infuriating to people will no technical knowledge is that these persons haven’t even been informed about how to fix the problem. 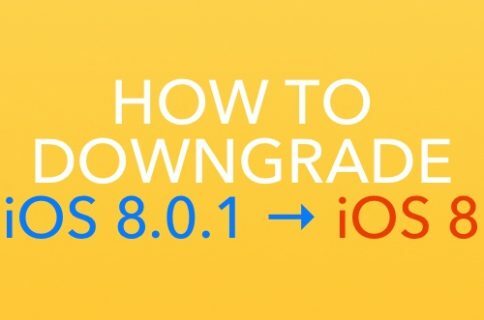 If you read iDB, you know you can downgrade to iOS 8 and get everything back in order. But what if you don’t read iDB or other tech blogs? You’re pretty much left on your own, and this is unacceptable. It’s unacceptable and alarming. When you’re a company with over half a billion people using your products, you can’t afford to make that kind of mistake. You could argue that corporations big and small can make mistake, but I think it’s only barely acceptable if you explain clearly what you’ve done wrong, offer an apology, and fix the problem in a timely manner. Apple has done none of that today. If the bendgate was a non issue to me from the get go, the botched release of iOS 8.0.1 has been quite the opposite, and while I don’t expect Apple to comment on the laws of physics that can make your iPhone bend, I do expect them to be upfront and clear about a software update that has incapacitated thousands of devices.